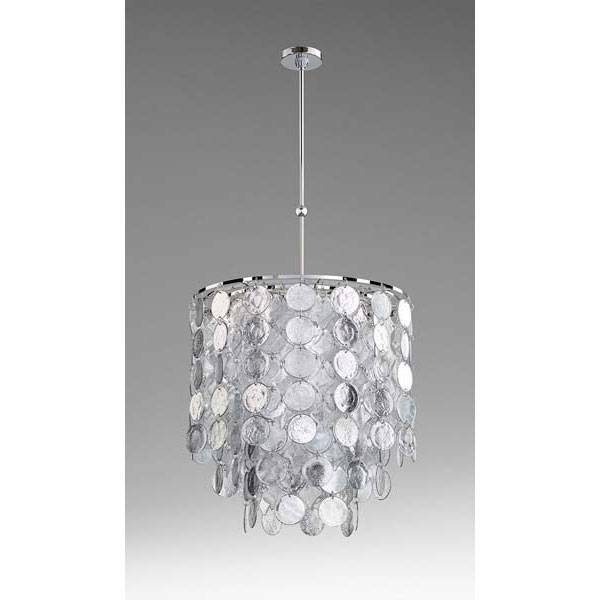 The Carina Nine Light Pendant by Cyan Design features Silver Shatter discs suspended from a Chrome metal frame. 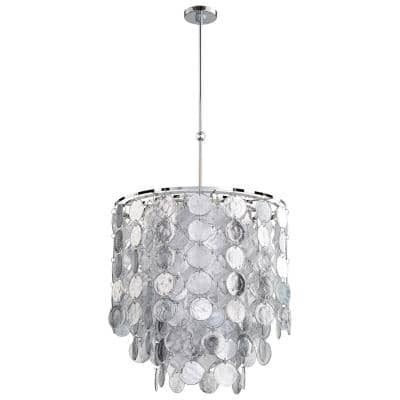 The sophisticated beauty of the glimmering medallions makes this chandelier a sight to behold. 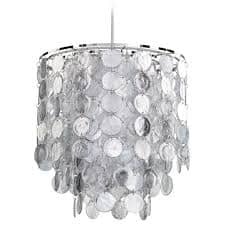 Uses nine 60W candelabra bulbs.